I haven't made a post in forever, but there was just an update of my blogging tool, Scribefire. I just wanted to give it a spin, especially to see if the picture posting function would work. It sure seems to work well and is slick. 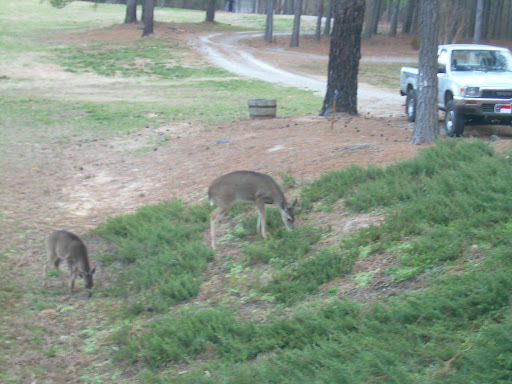 Anyhow, this is a picture from a month or so ago of a deer (there were many of them) in our yard. They have no fear! It looks as if none were shot this year, but I know that that is not so. They come out at least twice a day to eat at the corn feeder. Maybe we will get a few next year. No chance that I will be able to have a garden this year!